I normally don't like to pimp work for people I know but I really do like the exterior of this particular building so I'm disclosing that this building was a co-designed by my ex-professor and one of his student. Airspace is located in Tokyo. 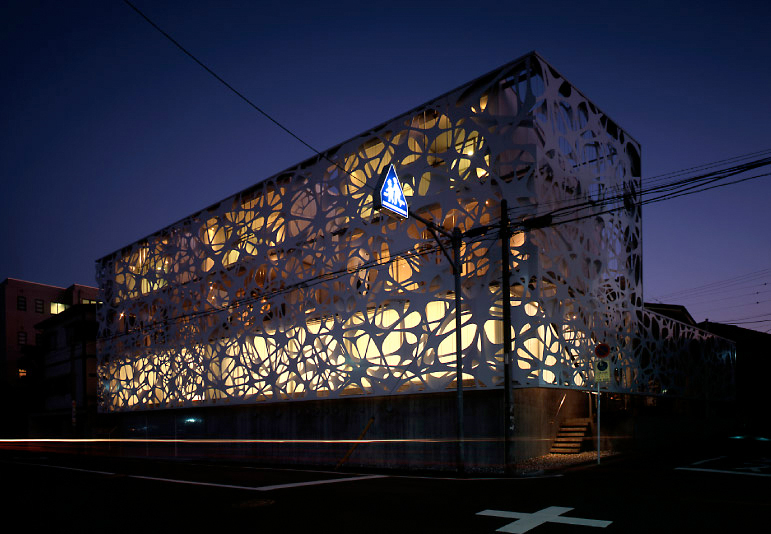 The existing building had a facade system that wrapped the entire building with dense vegetation. The whole structure was demolished and a brand new building took place. Thom Faulders, the architect for the new facade, basically took the old exterior and reinvented a new language for what was there before. 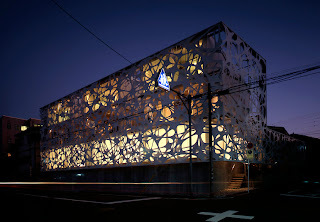 The result was a brilliant eye catching new facade. The new face of the building acts as a sunshade device as well as channeling water away from the building. Before the building may feel heavy due to dense vegetation, now the building feels light and porous. Hence the appropriate name: Airspace Tokyo. I don't know much about architecture, but that is gorgeous! Thanks for sharing. Thanks. I think it's very pretty too.